You can’t read Sebastian Barry slowly. It’s like poetry. It IS poetry! How else to explain a sentence like this? ‘Such are the embers of things spoken when the great conflagration of life is nearly over...’ WHAT a sentence! And the book is full of them. How can a first-person voice be at once to vivid and poetic and yet utterly artless and authentic? I wish I knew. Barry does. And so I keep on plodding through his prose... or poetry. And what an immense pleasure it is, too. This is just the latest in a long list of his books I'm either reading or re-reading. And none - so far - not one, disappoints. Unless it's from the knowledge that you know - as someone who tries his hand at a bit of writing, now and then - that you'll never, ever live up or even approach such heights yourself. But you can learn. As always, you can learn from the masters and I've especially learned from Barry's wonderful use of the active voice in what it otherwise standard third-person omniscient narration. There's a immediacy of expression that almost blurs the boundary between that and first-person (especially unreliable) narration. It's a wonderful trick to behold on the page. And Barry does it so, so well. 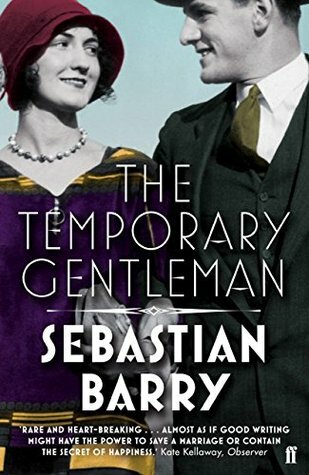 Sign into Goodreads to see if any of your friends have read The Temporary Gentleman.